Walk to the Smithsonian Castle building, which sits just south and east of the Washington Monument. 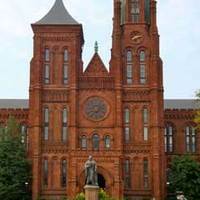 The Castle, built in 1855, was the first building of the new Smithsonian Institution. Designed by James Renwick, the building houses the remains of James Smithson, the wealthy Englishman whose estate funded the construction. The Arts and Industries building, completed in 1879, was designed to showcase the cutting edge technology of the 1870s. Walk around to find these small details around two of the oldest building on the Mall. In the 1800s, the United States developed a market for mass produced art. 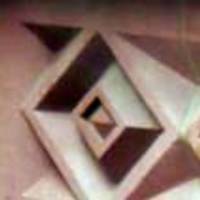 This included posters of famous paintings and cast iron or zinc or plaster sculpture. 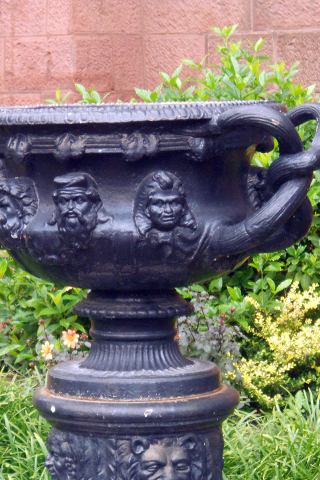 This urn or vase, based on an ancient Roman design, was produced in 1858 by the Mott Iron Works, which also sold plumbing fixtures and manhole covers. 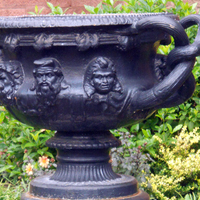 It shows followers of the Roman god Baccus. 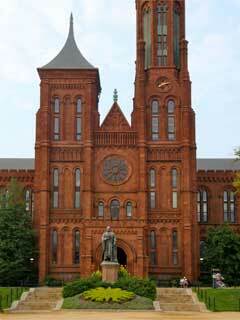 The red sandstone in the Smithsonian’s original building, “The Castle,” came from quarries in nearby Seneca, MD. Stone was brought here on the C&O canal, which ran along what is now Connecticut Avenue. Up to the Civil War, Washington DC was a slave city. Did slaves build the Smithsonian’s Castle building? It’s impossible to know for sure. The quarry likely depended partly on slave labor.